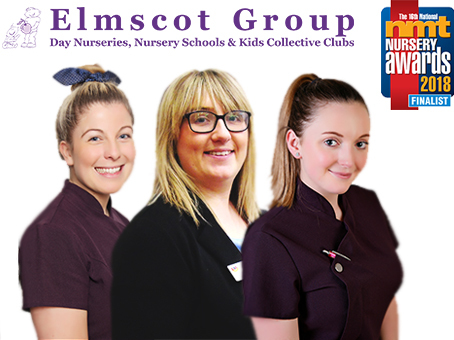 Altrincham-based Elmscot Group is proud to announce that three of its employees have been selected as finalists in the Nursery Management Today (NMT) Nursery Awards 2018. The first finalist for Elmscot Group is Sophie Murray of Hale Day Nursery & Nursery School. She joined the nursery in summer of 2016 and is now a finalist for Nursery Room Leader 2018. Sophie has incredible drive and devotion to the children and families. During her time at the nursery, she has had an outstanding impact on the preschool room in particular. Joining Sophie within the group of finalists is Hannah Reeves, Group Manager at Kids Collective. Hannah has been chosen as a finalist this year in the Nursery Operations Director/Regional Director category. Having recently achieved 10 years’ service, Hannah is one of the longest serving members of staff and has received numerous recognitions for her outstanding leadership and management skills over the years. Elmscot Group’s third finalist of 2018 is Georgia Hammond of Woodlands Day Nursery & Nursery School who has been selected for the Nursery Apprentice category. Georgia has been a part of the team for the past year and during that time has flourished in her childcare career. Winners of the NMT Nursery Awards 2018 will be presented with their trophies by Gethin Jones at the high profile Gala Night held on Saturday 1st December 2018 at the London Hilton Metropole, attended by over 500 guests.